Today marked 3 years since we first saw Judah and Addise's faces for the first time. I revisited the three posts announcing the call, our referral and initial stories about Lil' A and Baby T...they're still riveting. Mostly, I think it's because I can't believe this miracle we get to live. There are a few things I've learned since first seeing Lil' A and Baby T's faces. It really is possible to fall in love at first sight. We loved them - no matter what! - from the moment we laid eyes on them. They filled our hearts. God's story is always better than the story I'd write. We experienced our share of setbacks, bumps, and turmoil along the way - from infertility to extended adoption to surprise pregnancy - we've lived a crazy story. But in hindsight I'm so grateful for every, single part of our story. The miracle is always worth it. I wish miracles came neatly packaged and via happy-go-lucky means but that's rarely the case. Miracles nearly always come after a lot of pain and challenge. That's what makes them miraculous. We experienced another miracle this weekend (SEE STORY BELOW! ), and even in the funk of it all I wish for another way. Sometimes I don't even want the miracle. I want the easy way. Yet, at the end of the day, I want my life - our lives - to be a miracle story. A story that only God could write. A story that has the supernatural fingerprints of God all over it. A life that I could never create even in my wildest dreams. I want a miraculous life but I now know what that means. On that divine morning on August 16, 2010, Brian and I opened our emails and saw these two littles ones who would become our own. Bone of our bones. Flesh of our flesh. ANOTHER MIRACULOUS STORY. Fast forward to today. The final bit of paperwork in our 3.5 year adoption process was re-doing their social security cards. 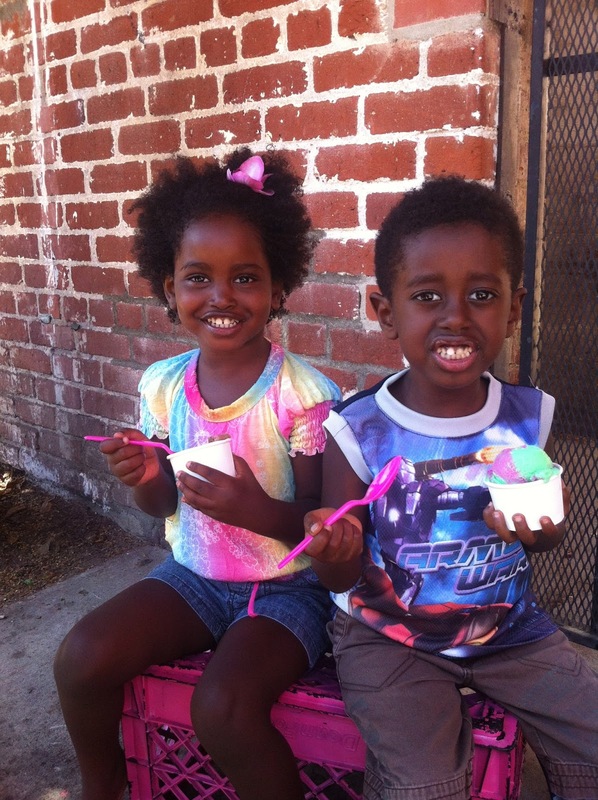 You see, when Judah and Addise's adoption was completed, they entered the U.S as American citizens under the names Abebayehu Brian Diaz and Tarike Brian Diaz. Because of tax and medical purposes we had to (nearly immediately) get their social security cards under those names. We were assured that when we did their adoption re-finalization in court that we could simply do a name change for their social security cards. 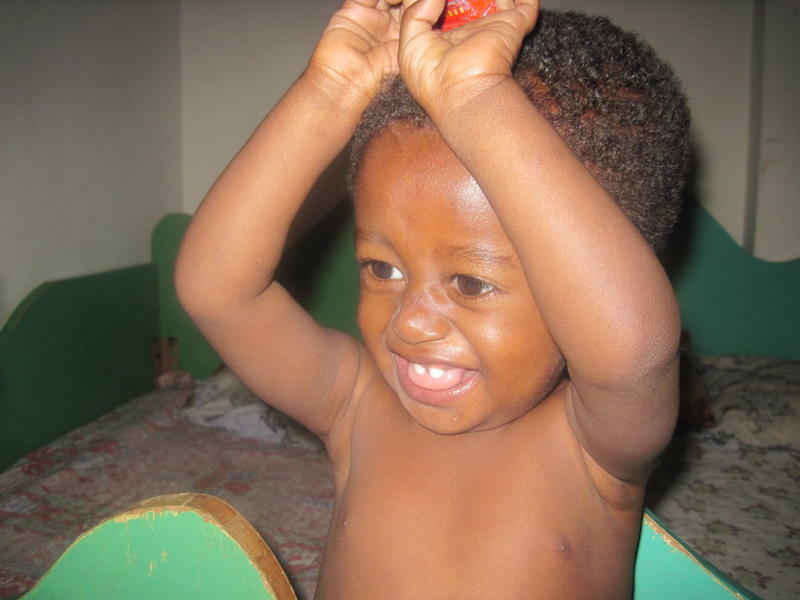 During the court re-finalization process, we legally changed their names to Judah Abebayehu Diaz and Addise Aster Tarike Diaz. Their California birth certificates prove it. The Social Security clerk saw a missing link between her birth name, her citizenship name, and her re-finalization name. There was missing paperwork, as in NO legal U.S. paperwork with her birth name on it (the same was true for Judah but she missed it). She explained the problem and my anxiety spiked. I calmly tried to explain that no such paperwork existed. I tried to explain the Ethiopian system, the U.S. protocol, the required information in the re-finalization process. WHAT THEY WERE ASKING FOR DOESN'T EXIST. THERE'S NO U.S DOCUMENTATION OF ADDISE'S BIRTH NAME. I shared that with the supervisor. We went back and forth. Emotion started rising. The supervisor offered for another supervisor to come. I accepted. I went back to my seat in the giant waiting room and began panicking. Immediately, I texted Brian who was wondering what was taking so long. I pleaded for him to pray. Then, I began texting some prayer warriors. I tried to communicate the roadblock quickly, simply, and as desperately as I knew how. Within minutes prayers, Scripture references, and simple "PRAYING NOW" texts flooded my phone. I sat in the waiting room as tears streamed down my face. Literally, sobbing with desperation and helplessness. Confused fellow-waiters stared at me, wondering what could cause that emotion while in the Social Security office. Rest in the comfort of knowing that God knows their names. He knows! He knows and see your heart for Judah and Addise, April. Love and blessings over the angel at the Social Security office that is there to help you - one that needs to hear your family's story. Can't wait to hear the blessing that will come through this. SOBBING. God knows their names. The very thing I was advocating for them, God knows. He could move mountains and make a way through incongruent bureaucratic policies to give our children their names. God knew their identity and I was their voice. Twenty minutes later the supervisor was ready for me. Shaking I made my way with my thick paperwork folder to share our story with her. I cried the entire time. She listened. She rummaged through the paperwork. She firmly stated that "no one would put their stamp of approval on this case because there's a missing link between their names". She didn't even know what to recommend to remedy the situation. She confirmed we did the Social Security process and the re-finalization process correctly. She even affirmed that these were the same kids throughout all the name changes. She literally didn't know what to tell me. We were stuck. Somewhere in the midst of that chaos, our angel appeared. I don't know what you imagine angels look like, but ours was an older, white man who could be easily mistaken as a wonderful ogre. He stood up from the next cubicle and simply said, "I just dealt with an Ethiopian case like this and there's no paperwork that exists for what we normally do. So we made an exception and gave them the cards." Hope. The supervisor disappeared for a little while again. When she came back all I remember her saying is "we will do it for you". I literally burst into tears and muttered "thank you" over and over again. Then, she said, "the man in the next window will take care of everything for you". Only a few minutes later, the ogre angel was ready for me and he kindly waved me over to his plexiglass window. He warmly and light-heartedly asked for our paperwork, and through bloodshot eyes looked down and joked "what exactly would you like?" He took it all and started with Judah. A few minutes later he pulled a box of Kleenex out from under his wings (hehe), pushed them under the window, and gently said "they shouldn't put people like you through things like this". I blubbered out, "You're right! Thank you!" After another 45-minutes at the ogre angel finished typing away at his computer and copying our mound of paperwork. Officially he said, "Your cards should arrive in the next week. Congratulations!" I stood up and tears spilled out again as I said, "You were our angel today. I can't say thank you enough! Today is our 3-year anniversary since we first saw their faces. Thank you. If I could hug you I would." He thrust his hand through the slot in the window and grabbed my hand with both his and he said, "Take care of those kids, okay?" I nodded and boldly said "Yes sir. We will." I walked away. Exhausted. Relieved. Fully aware of the miracle we just experienced. I am fully confident that we would not have had that result were it not for the prayers of many who saw my texts, tweets, and Facebook status updates. There was every reason we would be stonewalled indefinitely from Judah and Addise's names being corrected. God made a way. He knew their names. And this day, in the Social Security office, a miracle happened. Celebrating all the goodness of today with ice cream - a real treat in our family! Brooke is one of the most creative, articulate, wise, "old souls" I've ever know. She's graduating from 8th grade this month. Two years ago her family adopted a beautiful, sweet, boy from Korea. The past couple years haven't been the easiest like some adoptive families would like you to believe about their "happily ever after". In some of the clearest words with simple, creative visuals Brooke tells her story and the story of her family. Her story is a must-watch if you're adopting, know someone who has, or are considering adoption. It tells the whole story, and the whole story is worth telling. ** NOTE: Brooke's family attends our church. I got to know her last year when she was in my student leadership group. 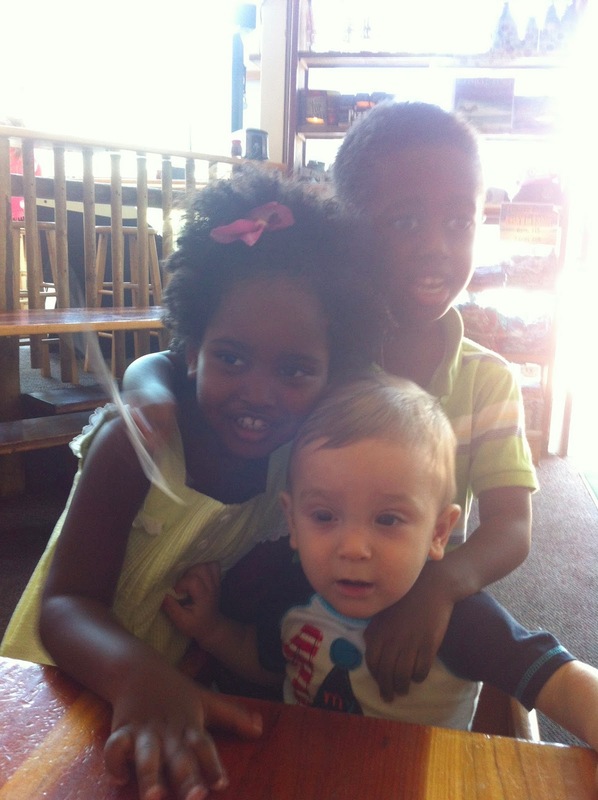 We've known her mom for years; she was our social worker when we were adopting Judah and Addise. We love this family. They gave me permission to share. This day. This day is chock full of emotion. I get it. Prior to 2007 :: Mother's Day was only to be celebrated because I am blessed with a most incredible mother and two amazing grandmas. 2007-2008 :: We were in the thick of infertility treatments. I was aching to be a mom. Mother's Day plain sucked and I wanted to die in a hole. 2010 :: It was still just Brian and me. 2011 :: Then there were 4 Diaz's. My first Mother's Day. 2012 :: Then there were 5 Diaz's. Asher joined our family and actually came HOME from the NICU on Mother's Day. Well played, God. 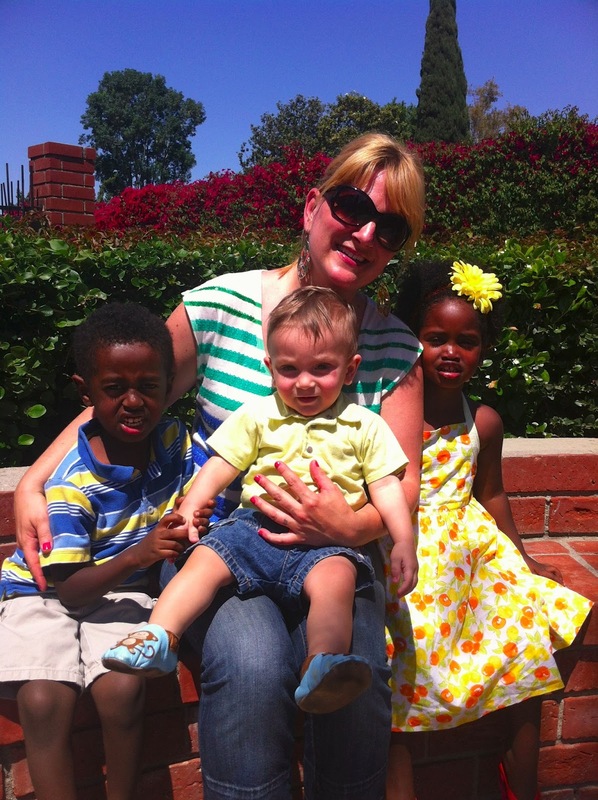 2013 :: Celebrating motherhood with 3 healthy children. On this day, I recognize those women who have forever changed me as a woman and as a mom. Mom, you truly have shown me how to mother because of your never-ending sacrifice and love for your children. You always have time for us. Constantly celebrate with us. Pray diligently for us. Faithfully correct us. And you still love our Dad. Thank you for loving me in such a way that mothering has come natural to me. I love you. Grandma Getz, since I was a little girl, you've shown me that it's okay to be me and have applauded my gifts, strengths, and passions. I hope I make you proud. Grandma Neukomm, you've loved your family faithfully and diligently. Thank you for your committed love for us and our God. 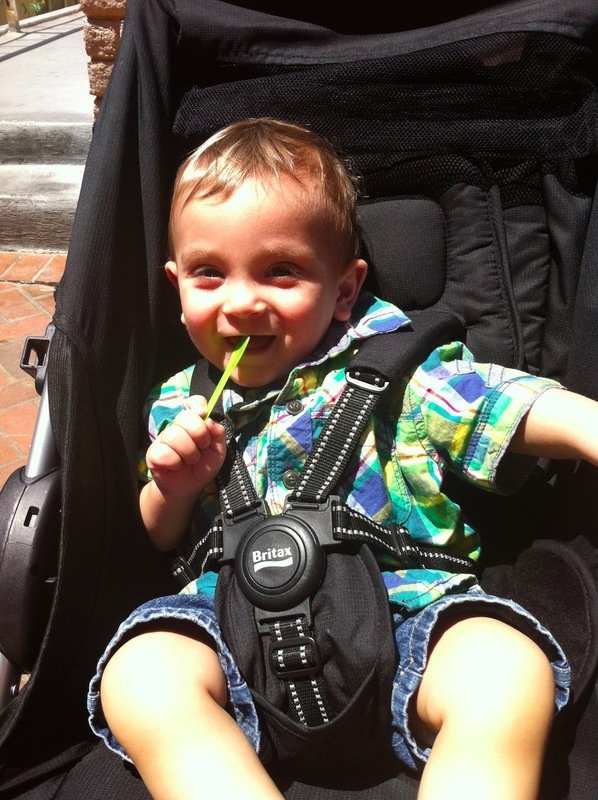 My mother-in-law - Laura, you've given me the greatest gift - your son! He is the most upright, loyal, strong, dedicated, loving, and faithful man I've ever known. Thank you for your part in raising him to be the man he is to me and our children. My sisters-in-law - Zobeida, Liz, Vivian, and Sarah Beth. You are all, sincerely, amazing mothers. 11 kids between the 5 of our families. I'm deeply grateful that my kids get to call you "aunt". I love you all. The women who long to be called "mom" - SK, BSM, KPS to name a few. I see you today and pray with you. This is not the end. To the working moms all around me - Rebecca, Jeanne, Kara, Julie, Hana, Tara, Mindy. The way you love your children and are obedient to your calling takes my breath away and pushes me. You help me believe I, too, can do this. You inspire me to kick down walls for our daughters. To the adoptive/foster care momma's who fill me with hope and joy and compassion, especially Erin. You remind me I'm not crazy. You validate, instruct, and give grace to my "kiddos from hard places" and remind me that parenting them isn't "just like" parenting my bio son. You affirm the great calling that is adoption and love me on the good and hard days. Finally, to the mothers who made me a mom - Judah and Addise's birth mothers. I weep when I think of the necessary sacrifice you made for your son and daughter. It is my greatest privilege and pleasure to mother Abebayehu and Tarike. They would make you proud and filled with joy. We love them as our own, no matter what. You have my greatest respect and affection. I love how they love each other. The ones who call me "mommy". The sunglasses hide my tired eyes, my tears of gratitude, and the sparkle in my eyes that they bring to my life. 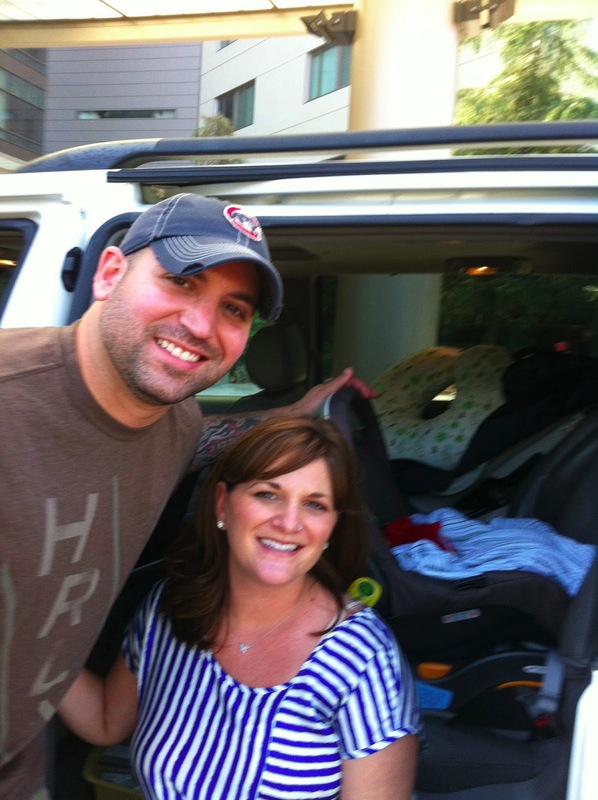 Brian surprised me by taking us back to where 1-year ago we celebrated Mother's Day while Asher was in the NICU. This Mother's Day he partied with us. Flowers from a friend who thanked me once again for giving that "real" Mother's Day talk 4 years ago. A reminder that our whole stories are worth sharing. Always. And that sharing our pain really can become a platform for transformation. Mother's Day 2012. Asher came home from the NICU! 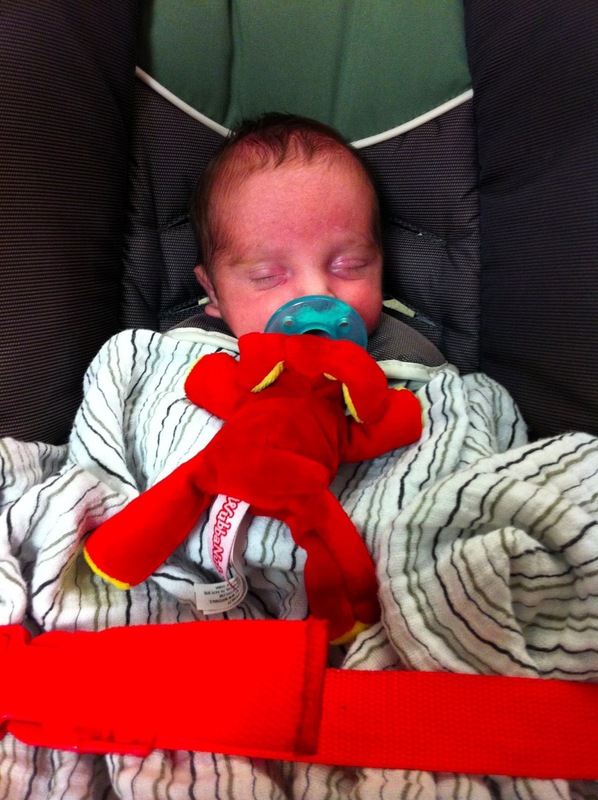 2012 :: Leaving the hospital. The little nugget in the background is Asher. One year later. Pure goodness.